Melissa Weiss studied Nutrition and Food science at UVM. Last summer, she got introduced to Farr Farms in Richmond, Vermont through the Food Systems Internship Program. 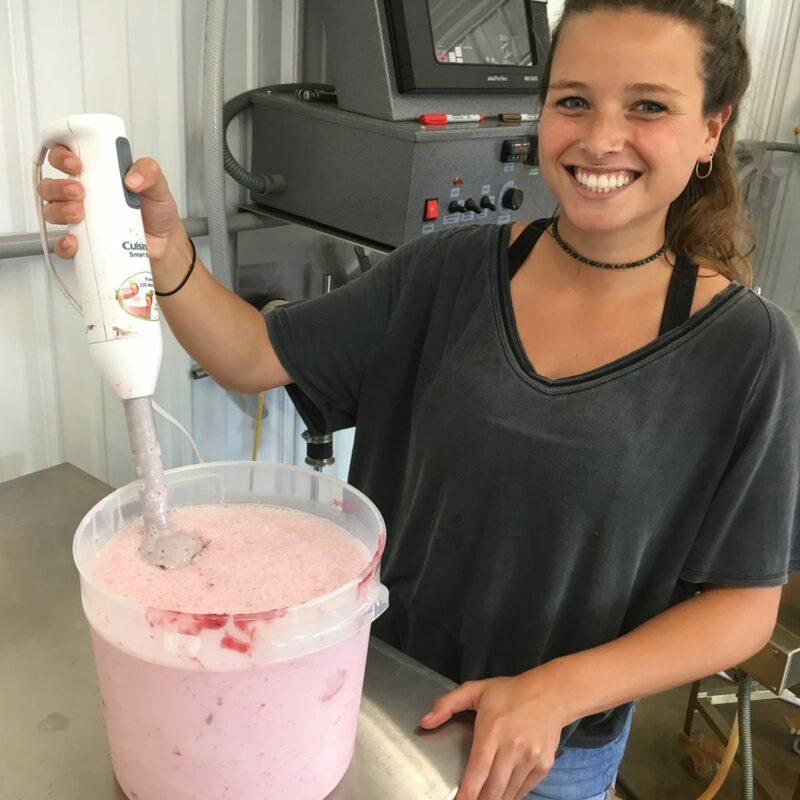 As the Production Manager Assistant and Social Media Intern, Melissa started helping with milk production and was soon researching and developing new products like gelato! “The company was still small and growing, so there was a lot of room to explore different avenues of what it took to build a business.” The internship proved instrumental in preparing Melissa for new position as the Nutrition Intern at Savorfull. The chance to “wear many different hats and hold a lot of responsibilities” prepared her to thrive in this entrepreneurial food-based business. 68% of UVM students engage in internships to further their studies and gain invaluable hands-on experience. The Food Systems Internships Program is one way to get connected. Discover many more internships in Handshake – both in Vermont and across the nation – then drop by The Hub to take your next step!